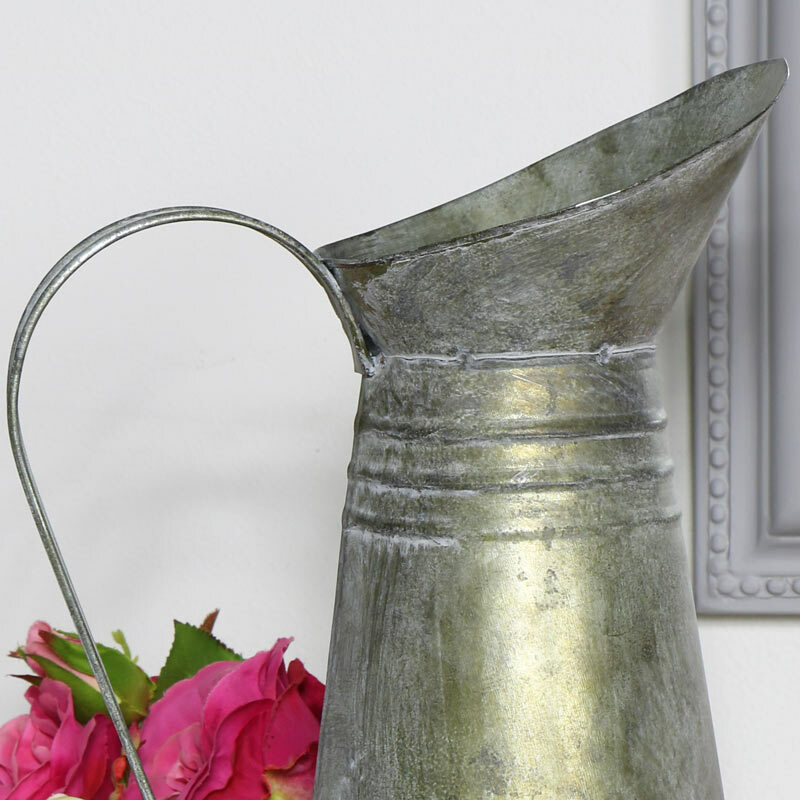 This grey metal jug is just perfect for adding a decorative look to your decor. Just what you need for holding a floral display and adding a country look to the kitchen. Simple but wonderfully stylish. 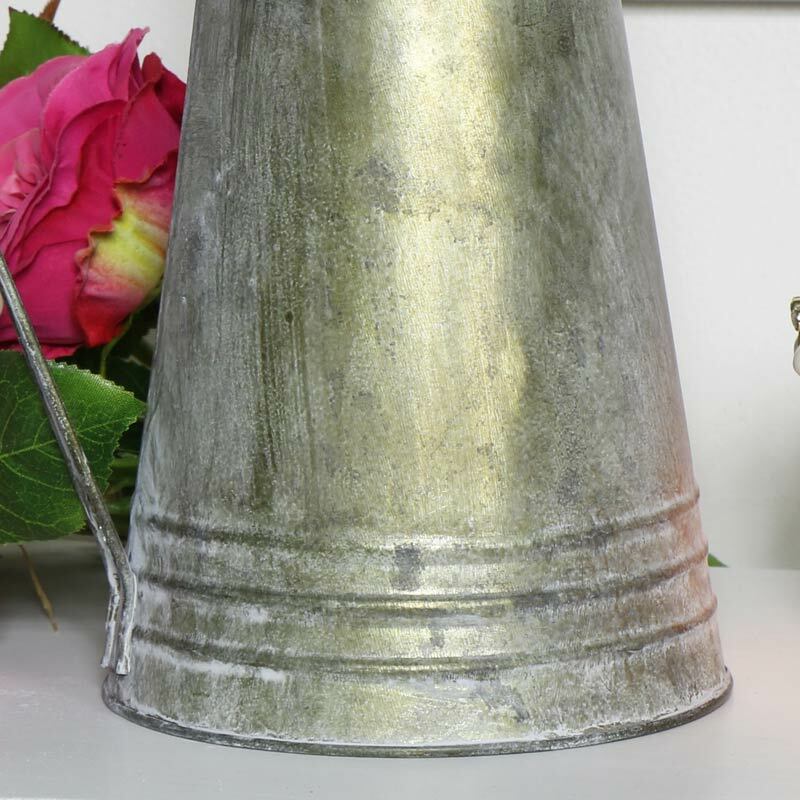 This tall grey metal jug that will add a vintage look to your decor and accessorise your home beautifully. Large hooped handle with banded detailing around the top and bootom of the jug. Perfect for adding those finishing touches to any decor. 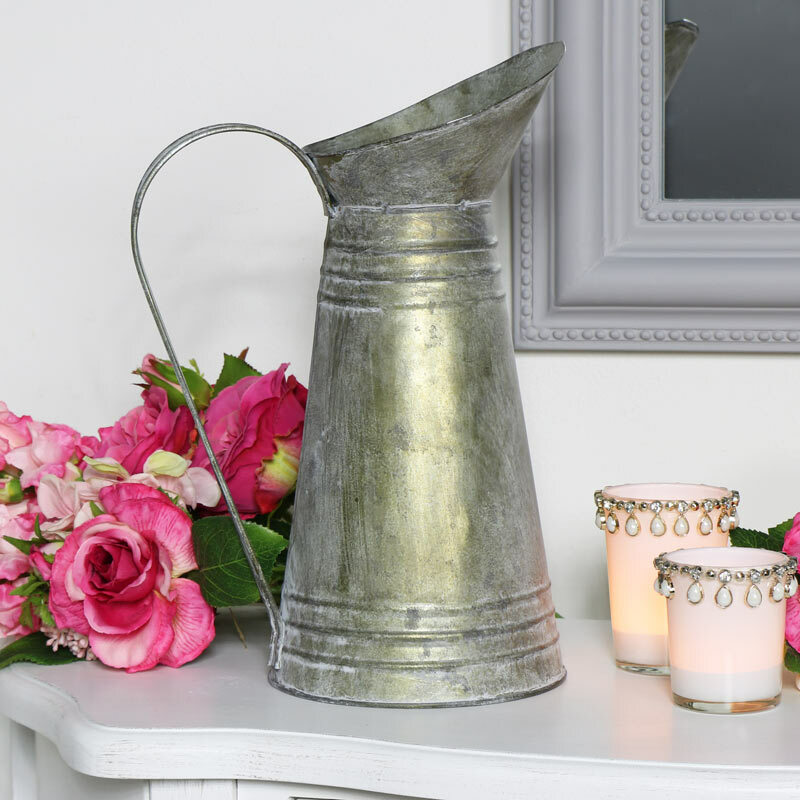 This grey metal jug is just perfect for adding a decorative look to your decor. Just what you need for holding a floral display and adding a country look to the kitchen. Simple but wonderfully stylish. This tall grey metal jug that will add a vintage look to your decor and accessorise your home beautifully. Large hooped handle with banded detailing around the top and bootom of the jug. Perfect for adding those finishing touches to any decor. Made from tin in a grey distressed finish (Please note: this jug is not watertight). We have an extensive range of gifts and accessories for you to choose that perfect present for someone special.